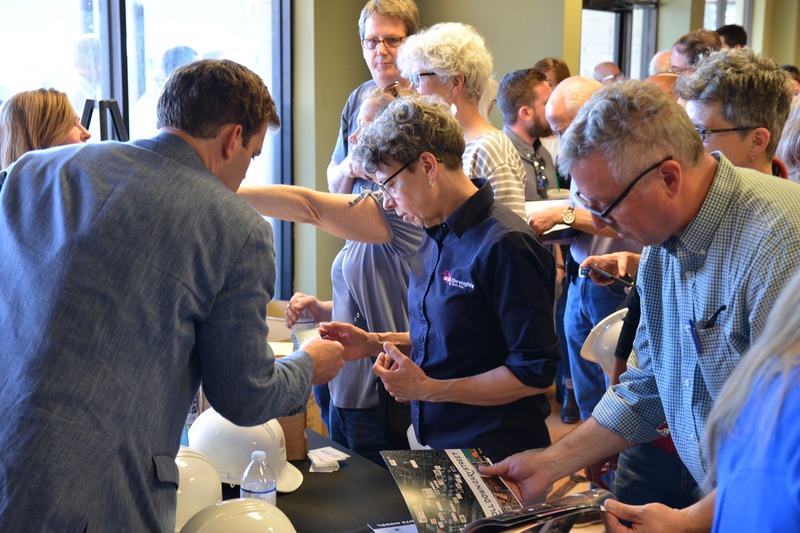 Recently, members of Regency’s team stood before a tightly packed crowd of more than 200 people in an abandoned grocery store location in Richmond, VA. Their goal? To address concerns and questions that could be had by the well-informed and intertwined community of Cary – an eclectic and unique sub-market of the Richmond city limits. The team, comprised of members from the Raleigh, Washington, D.C., Jacksonville, and Richmond area, took a different approach to community meetings by showing up with no formal presentation. Instead, the room was divided into six sections, each addressing specific subjects that the community was passionate about. On hand were expects in their respective fields for architecture, merchandising, history, Publix (the incoming anchor), traffic, and construction. Perhaps the display that had the most attention was that of the elevations and architecture. 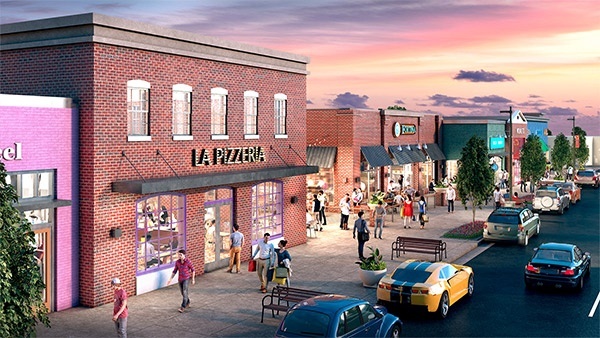 To put it in context, the community of Cary – especially the retail corridor – is known for its unique storefronts, dynamic mix of tenants, and walkability. A “strip-center” or big-box destination would be as out of place here as a Star Wars fan would be at a Star Trek convention. The Regency team was aware of this, and understood the importance of ensuring the flavor of Cary was enhanced upon with the upcoming redevelopment, not diminished. New storefronts were designed from the ground up to replace the dull designs from the 1960s; ones that would extend the charm of the corridor down another entire city block. Previously, what used to be known as the Richmond Shopper Center introduced itself to Cary Street with a rough-looking parking field. Now, pedestrians, shoppers, and neighbors can look forward to being greeted by dynamic colors, displays, outdoor seating/eating areas, and gathering spaces that weren’t there before. Incoming tenants will be given the ability to stand out at first look, and not be confined by a uniform design with only a sign as a differentiator. A new parking garage that increases the amount of valuable parking will be hidden from view behind these new architectural designs, ensuring an immersive retail and neighborhood experience. The redevelopment of Carytown Exchange is a great example of blending in by being different. By respecting the history, culture, and community feedback of the area we were able to assuage many concerns regarding Regency’s intentions for the site. 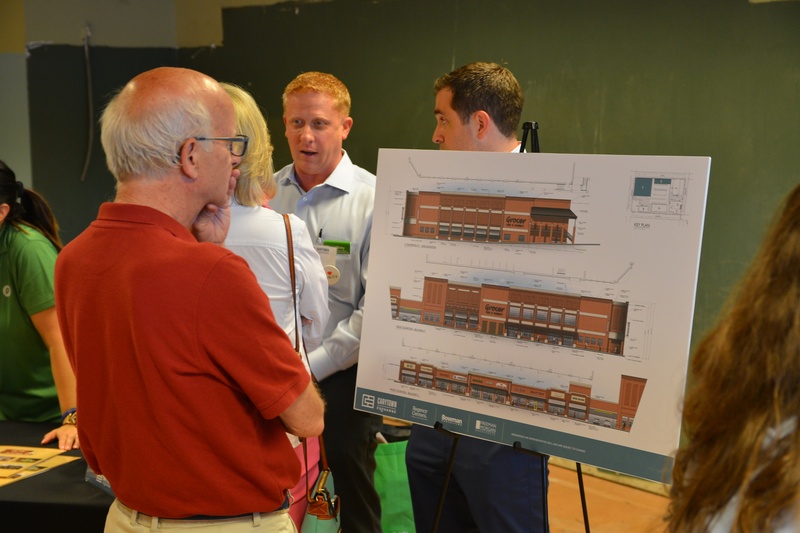 Although many tough and thoughtful questions were posed during the community meeting, we are looking forward to showcasing our commitment to keeping Cary unique and Carytown Exchange a go-to destination for a long time. For more information, please visit www.carytownexchange.com.